We are the flat roof leak repairs specialists. We repair all types of roof leaks. From Modified Bitumen Torch Down Rubber, EPDM Rubber, TPO roofs. 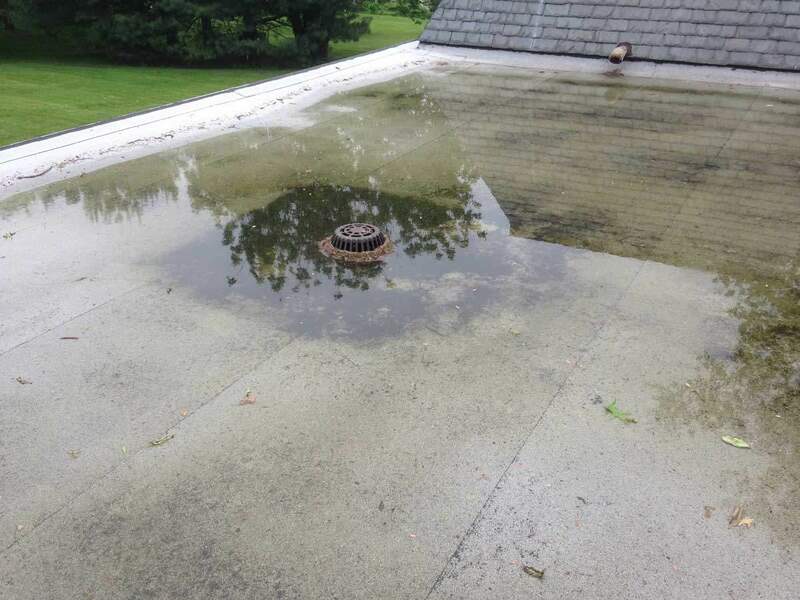 Our experience comes from 30 years of flat roof installation and leaks repair. Most roof leaks repairs occur on EPDM Rubber Roofs. These repairs are necessary due to the failures of the adhesives used on the seams. We specialize in the Modified Rubber Roofing system. Roof leak repairs are seldom necessary because the material is thick and tough and therefore won’t puncture. Some repairs are necessary due to incorrect flashing attachment or seams that were not welded properly. 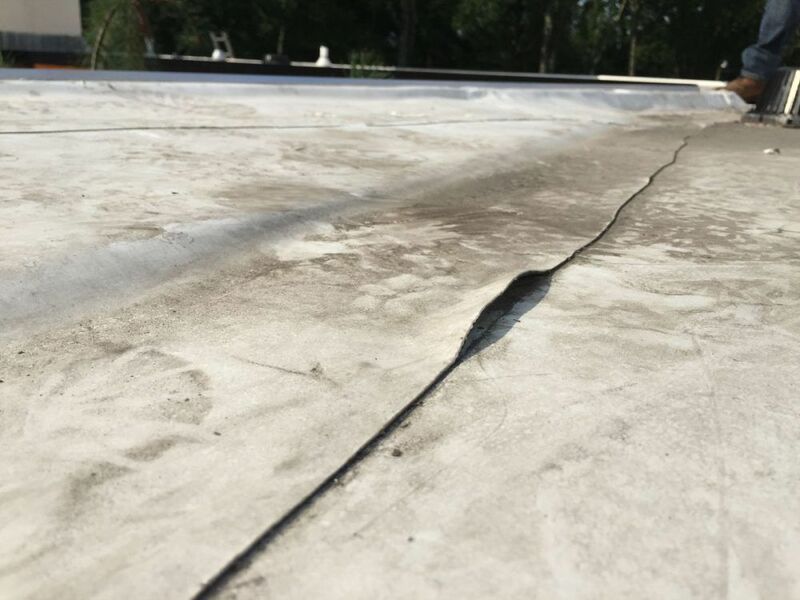 The seams on an EPDM Rubber Roofs will often separate due to the adhesive failure. Repairing leaks in these rubber roof is common. 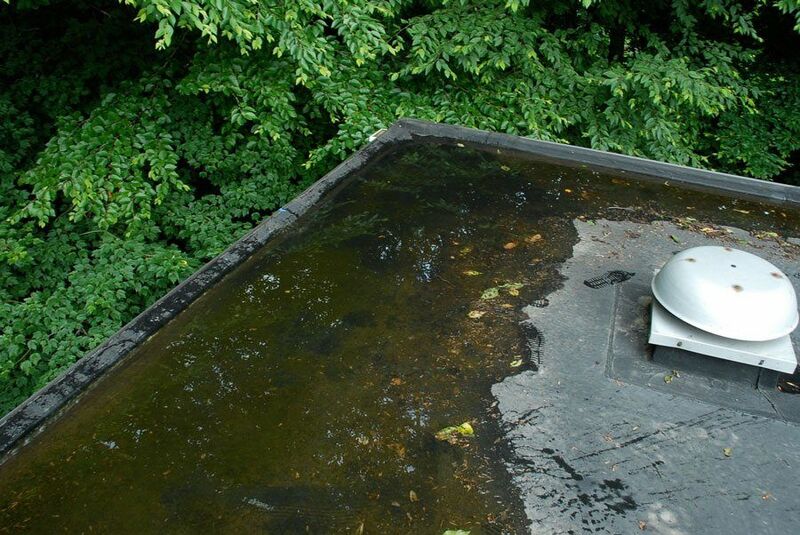 Roof leak repair is not easy on an EPDM roof because it is hard to detect what causes the leak. We have made 1000’s of roof leak repairs on EPDM rubber roofs. In its forty years of existence, the adhesives have been the primary culprit of causing roof leaks. The best way to repair the seams on these EPDM Rubber Roofs is to install a cover tape over every seam. The other reason why so many repairs are needed is that the caulking used to cover the edge of every seam dries out and shrink making a small void area where two overlapping seams meet. To make a leak repair, in this case, all the caulking has to be removed, and a new beat of caulking applied. Petroleum-based lap sealer is used to make these leak repairs. TPO roofing requires a heat gun to fuse the seams together. Sometimes when this heat is applied, weather conditions change causing the gun not to apply the proper heat to the seam for melting. This seam can separate and cause a roof leak. To find the leaky area a sharp probe is used against the seam to find a separation or weak spot. After identifying this weak area, a patch is installed with a heat gun. Leak repairs on TPO roofs are not easily done and can be costly. We have been in the Roof Leak Repair business for over 30 years. The challenge is not repairing the leak, but rather finding the cause of it. 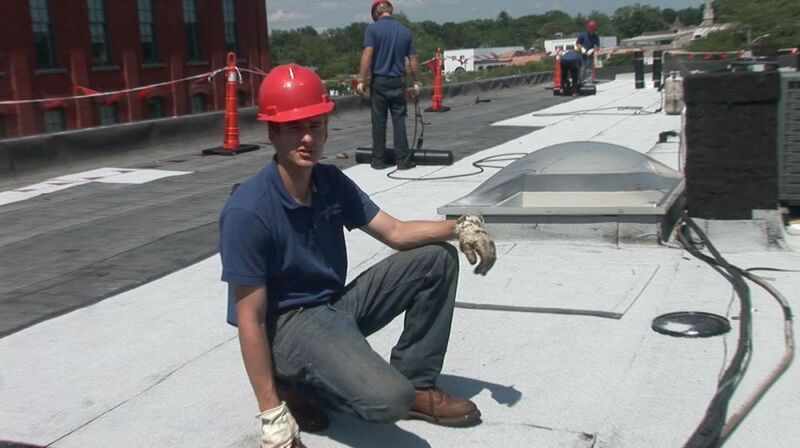 Troubleshooting a leak on a roof is the hard part, repairing it is the easy part. 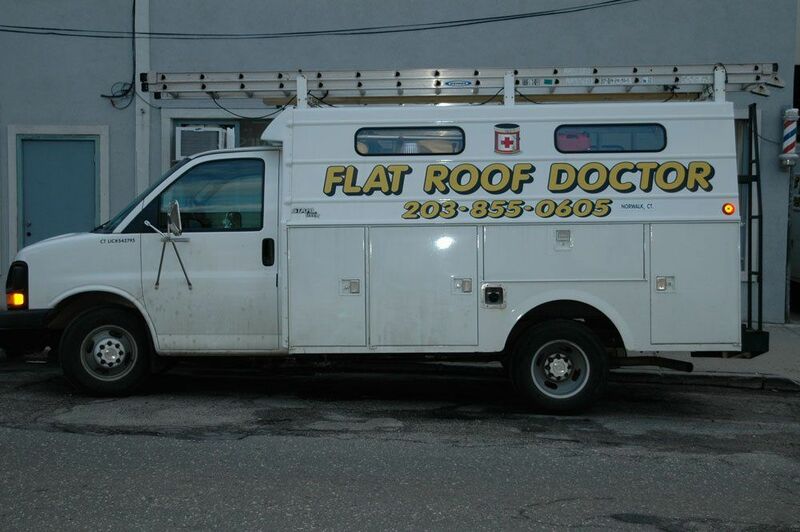 We started as The Flat Roof Doctor in Norwalk, Connecticut, repairing leaky roofs. Our experience of over 30 years helps us to find leaks and make the necessary repairs quickly.